A Washington Court House resident who had three OVIs in municipal court never served a day in jail, but was sentenced Monday to eight months in prison for her fourth offense. Tricia A. Wiseman, 36, appeared in the Fayette County Court of Common Pleas and plead guilty to a fourth-degree felony charge of operating a vehicle under the influence (OVI). 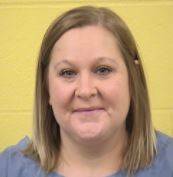 She was ordered to serve eight months in prison by Judge Steven Beathard following the conviction Monday and is now incarcerated at the Ohio Reformatory for Women. Wiseman was driving in Washington C.H. July 11 when a Washington Police Department patrolman stopped her for not using a turn signal. According to statements made in court, Wiseman exited the vehicle and stumbled around. Other indicators were present to show that she was under the influence of alcohol. She was given a standard sobriety test and arrested. At the time of the offense, her fourth OVI since 2011, Wiseman also did not have a valid driver’s license. Wiseman’s three prior OVI charges were handled by the Washington Municipal Court in 2011, 2013 and 2016, according to the court. “You had no jail time ever served on any of these charges?” Beathard asked Wiseman. Fayette County Prosecutor Jess Weade also confirmed that Wiseman never served any jail time for her three OVI convictions in Washington Municipal Court, and said that he was “puzzled” as to how that could happen. Beathard asked Wiseman if she was on probation anywhere, and she said that she was not on probation and had successfully completed the terms of her previous probation. Beathard asked her if she received treatment anywhere for any of her offenses. Wiseman said that she did do out-patient counseling, but no jail, and no in-patient treatment services. “Do you think that jail time would have helped you to not get a fourth charge in six years?” asked Beathard. In addition to the prison term, Beathard ordered Wiseman to pay a mandatory $1,350 fine. The fine was suspended, as were the court costs in the case, due to her imprisonment. Beathard imposed a 10-year suspension of Wiseman’s driver’s license. “This felony sentence comports to all other OVI sentences this court has handed down over the past 13 years,” said Beathard. As of press time Friday, the city prosecutor, Mark Pitstick, was unavailable to answer questions as to whether the municipal court’s sentencing guidelines on the three prior OVI charges comported to the mandatory jail time requirements of the Ohio Revised Code in sentencing OVI offenders in the state of Ohio. Stay with the Record-Herald for an update on this story. A follow-up story will be published as soon as information becomes available. Reach Ashley at (740) 313-0355 or connect on Twitter by searching Twitter.com for @ashbunton and sending a message.